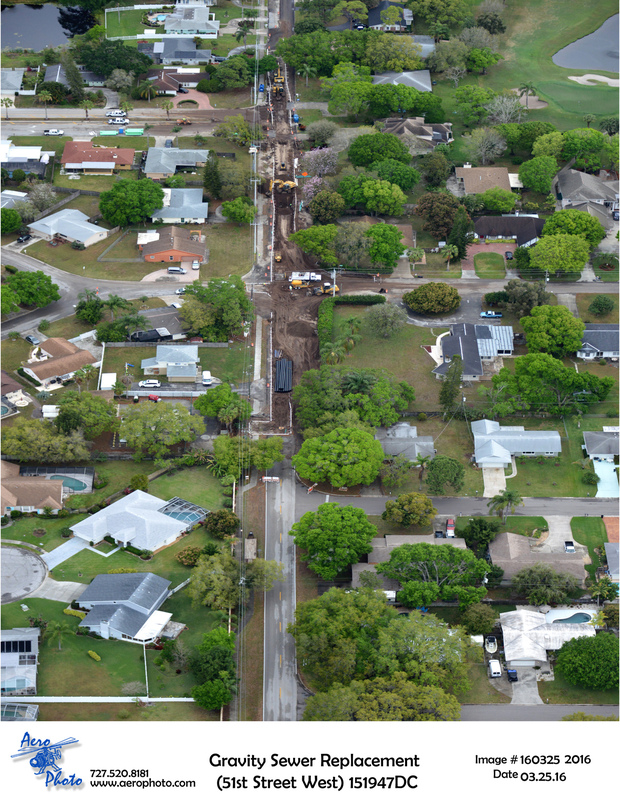 Project Description: Remove and replace approximately 3.300 LF of 30" PVC gravity sewer main and 10 manholes. 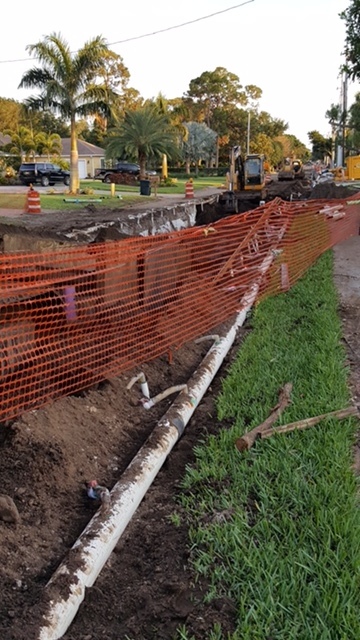 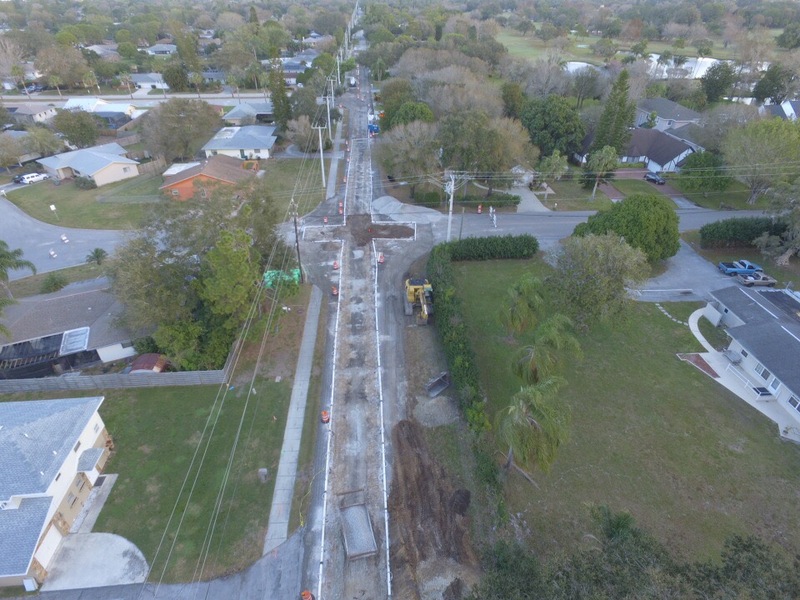 Removes and replace approximately 617 LF 6" reclaimed water main. 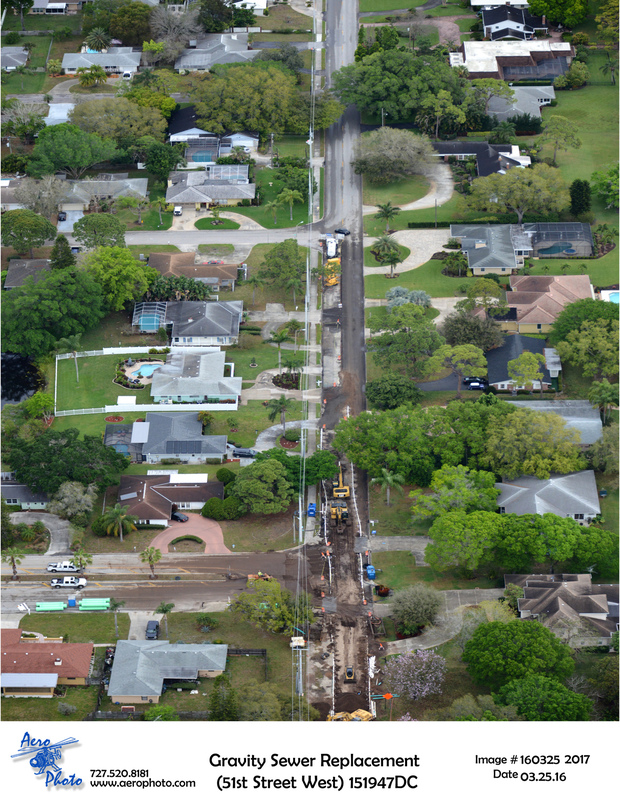 Remove and replace approximately 100 LF storm and 4 manholes. 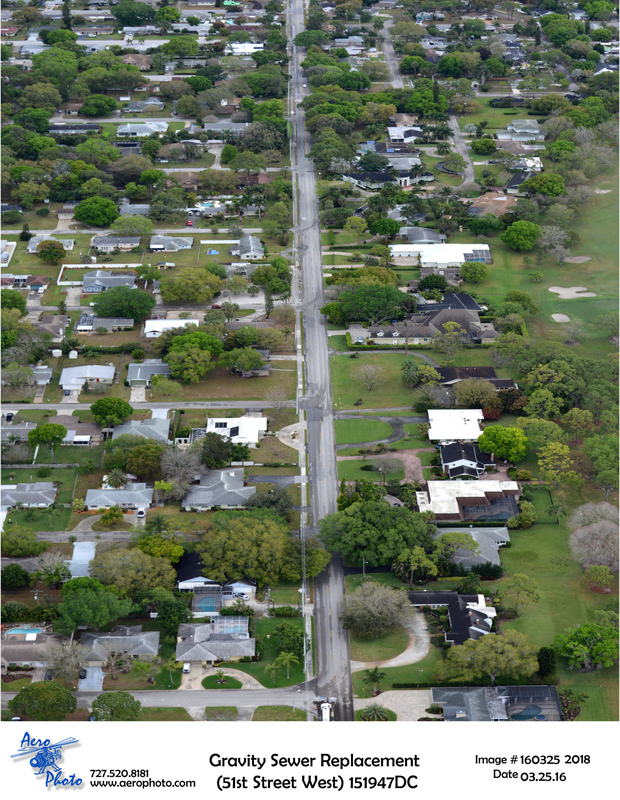 Restore pavement, driveways, curb, and sidewalk.